Owner confirms less than 40 hours use from new! Indespension single axle galvanised launching trailer. Jobe wake tower and bimini included. The Bayliner 175 Bowrider builds on the popularity of the legendary Bayliner 175 concept with a host of thoughtful enhancements that result in one of the best 17 ft sportsboats on the market. The stylish interior upholstery with back to back folding seat all come standard, making this versatile Bowrider great value. 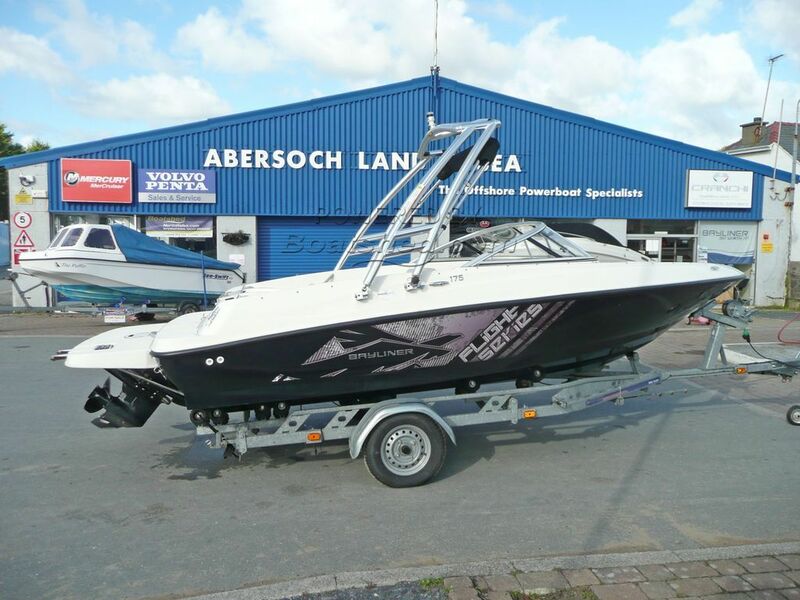 This particular example of the Bayliner 175 Flight Series looks to be in nice, clean condition having only had light use and benefits from being fitted with a Jobe Monster Tower - perfect for watersports! This Bayliner 175 Bowrider Flight has been personally photographed and viewed by Chris Tindall of Boatshed North Wales. Click here for contact details.